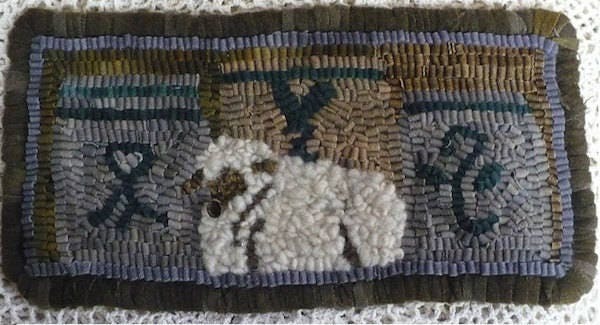 A beginner's rug hooking kit called "Lamb and Crocks" by Vintage Heart Rug Design (Yvonne Buus). This pattern can be used with either a rug hooking frame or an embroidery hoop. It finishes to 11 1/2" x 5".